This site is dedicated to the memory of my father, Captain Alberto Allievi. 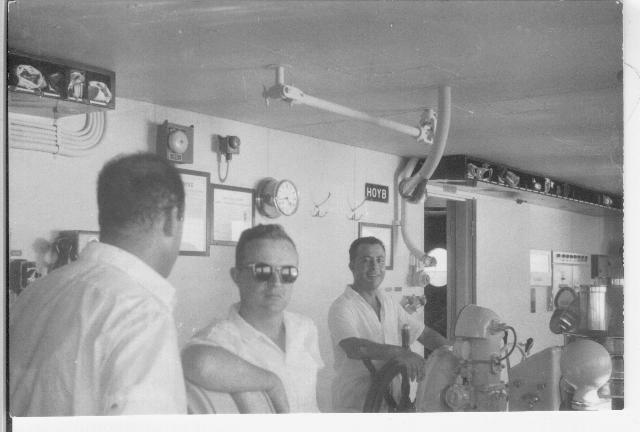 He had a special place in his heart for the Italian Navy and for the sea, so I would like to remember him through some images of his time at sea, and the ships he served on. I need to thank some of his friends and colleagues that have helped me by providing pictures, information and names of some of the people that appear in the various pictures. Some of them have also shared anectodes and moments of their time together at sea that have made me feel a little closer to my father even after so many years. In particular I would like to acknowledge Captain Giampaolo Mattera, Captain GB Pozzo, Dino Gigante and Graham McGuire. He was born in Milan in 1923 and died in Edinburgh, Scotland, in 1993. He served in the Italian navy and was a volunteer during WWII (see Italian Navy page). After the war he started his career in the merchant navy aboard Agip tankers until 1955 when he joined the Esso Fleet as First Mate and later as Captain. In 1962 his seagoing career ended but he continued with Esso in managerial positions in the Marine Dept of La Columbia (Esso Italiana). In 1975 he was transferred to Esso Europe in London where he was Port Coordinator and later Liquified gas/Chemical shipping advisor until his retirement in 1983. Below is the eulogy that Dino Gigante, a friend and collegue of my father, gave at my father's funeral. I just learned that you are now sailing higher seas, those the Genesis calls the waters which are above the earth. Your sails are filled with the gentle breeze that signals the loving presence of God. Let me align myself on the bridge, proud to be one of your disciples and stand to attention, to salute your passing ship. I remember, not to worry, never to call her a vessel. If I pass my exam as well as you did yours, I will be glad to serve on her again. There was never a time and perhaps we were hardly the kind of persons to do that, to offer compliments and congratulations for what you have done, and above all, what you have been. Let me proclaim now: never was your route in the least affected by opportunism or speed slowed down by discouragement. Your navigation instruments were honesty, competence, true love for the sea, the Navy, the Fatherland. If anyone I met in my working life ever deserved to be called a man, with a big M, that was you. No one person alone can carry on with wealth of your activities, but be assured that I shall proudly keep up the banner over that area which you progressively delegated to me. Farewell, beloved Maestro. May god bless us, our families, our fatherland “e quanti per essa vegliano in armi sul mare”.